We got you covered, CGs! We Cosmo Girls deal with different kinds of extreme damage every day. When you check out the sale at your fave store, only to end up buying more than you should, that's a big blow to your budget. When you decide to share a slice of pizza with your man, only to finish the whole thing by yourself, that's basically saying hello to bloat and puson. When you enjoy too much of the sun, only to deal with the sunburn for weeks, that's, well, a bummer. The same thing applies when it comes to our hair. 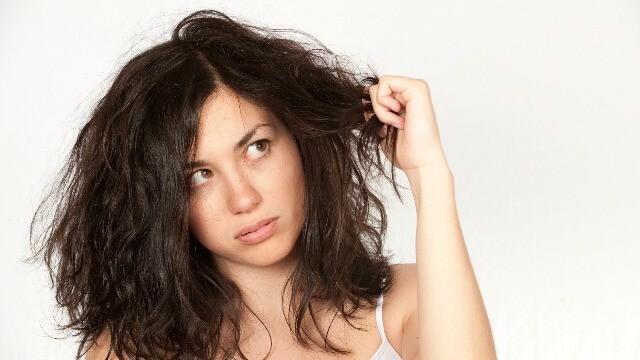 When you blow-dry or heat-style your hair more than you should, you're very likely to suffer from extreme hair damage. And when that happens, there's very little you can do to save your patay na buhok. Whether you blow-dry your locks every day or use a flat iron to tame your hair, Dove Intense Repair shampoo and conditioner can bring your damaged tresses back to life. Their advanced damage care and repair technology helps repair extreme damage like no other.